Come to a celebration of beer, tapas and cupcakes. It's all happening at Funkwerks (brewery) in Fort Collins on October 20, 2011. Funkwerks is Fort Collins' premier saison brewer and they've teamed up with some local food trucks to help show off their line of craft saisons. Read the press release below for all the details and view the full menu on the PDF below. 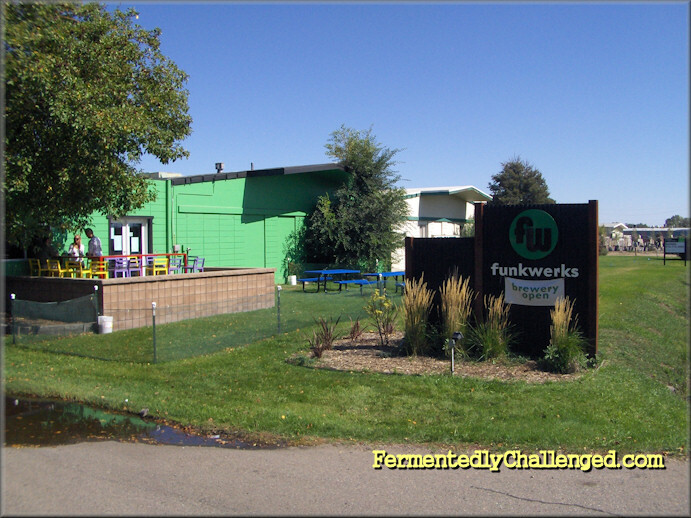 (Fort Collins, CO) Funkwerks will be hosting a beer pairing this Thursday, October 20th in their taproom from 7-8:30pm. The beer pairing will feature 5 of Funkwerks Saison-style ales, selectively paired with food created by two local food trucks. Amish Patel, owner and chef of StrEats Mobile Bistro, will be providing a four-course meal of unique tapas, each of which has been paired with a specific beer to highlight flavors in both. To end the night on a sweet note, Kati Anderson, owner and baker of The Cupcake Cruiser, will be offering two cupcakes which will be paired with Funkwerks' newest release, and first fall seasonal, the Cherry Saison. The event is a collaborative effort between the three local businesses, showcasing the versatility of craft beer and food pairing. Tickets are $30; reservations required. Call Funkwerks at 970-482-FUNK (3865) to make your reservation today! For more information on Funkwerks, visit: www.funkwerks.com. For more information on StrEats Mobile Bistro visit: @strEATSFoCo on Twitter. And for more information on Cupcake Cruiser visit: gocupcakecruiser.com. Download the full dinner menu (PDF) from Google Docs.